I loved this dog food straight from the word go. The main reason was that it was free of meat and was less-likely to contribute to any allergic reactions. I also liked the fact that it still provided all the essential nutrients the dog needs. Proteins, vitamins, minerals, essential oils and much more. According to the description, it’s purely derived from vegetables like chickpeas, fruits, and grains. It also doesn’t contain any GMOs, artificial fillers, meat products, rice, preservatives, or colors. With this food, your furry friend will certainly be in good health. Rachael Ray Nutrish is a respected brand in regards to dog food. I must say that it doesn’t disappoint when it comes to hypoallergenic food. The Just 6 is one of the best dry foods you can buy for your furry friend. It comes in a nice and sizeable packaging to last for a reasonable period and seems to have a nice taste since most dogs seem to love it. The texture of the food is also quite good and it also smells pretty okay even for human beings. A closer look at the ingredients indicates that it contains Lamb meal, a good source of proteins, and Brown Rice, a good source of starch and carbohydrates. It also has Chelated minerals and vitamins for boosting the immune system. The food doesn’t contain any Wheat, Corn, Soy, poultry by-products, Gluten, Artificial Flavors, Artificial Colors, or Fillers. This is also one of my favorite products and I use it occasionally. I noticed that my dog seems to be very fond of it and I guess it’s because of the good taste and smell. Many people say that it’s the best solution for the allergies and will work with any dog breed. 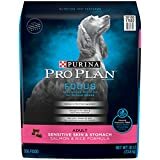 It’s a good choice for puppies and adult dogs and comes in an easy-to-digest form. 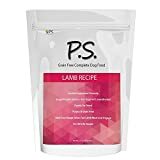 It contains high-grade protein that had been sourced from the best quality New Zealand Lamb and this enhances growth and also improves metabolism. The item doesn’t contain any grains or artificial compounds. After switching to this product, your faithful friend will stop licking the paws, scratching the skin, sneezing too often or the skin turning red. This dog food happens to be my vet friend’s favorite choice. He has been using it for his dogs and also recommends it to his patients. 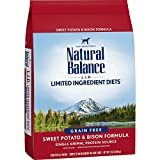 He loves the high-quality proteins that have been got from the Bison and this provides the dog with the best amino acids for healthy development. It also contains sweet potato for essential vitamins, starch, and carbohydrates. And like most hypoallergenic dog foods, it has no grains, no artificial colors, no flavors, no GMOs and no preservatives. This guarantees the dog clean, safe, nutritious, and healthy food. 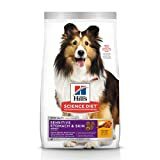 Feeding your faithful friend with this dry food will help him/her live a fuller and healthier life. It will help deal with issues like sensitive tummy, licking then paws, sneezing or any other allergies. This is achieved through the use of minimal ingredients and in the right quantity. The main ingredient is high-quality lamb for providing proteins. The food is only derived from natural ingredient and has no artificial compounds like filler, colors, binders, or additives. It also doesn’t contain wheat, gluten, or GMOs. 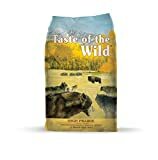 Although I’ve never fed my pet on this food, I know it’s one of the top hypoallergenic dog foods. Quite a number of people are using it and a majority gives it a nod for being very effective. And just as stated by the manufacturer, this product is suitable for dogs with sensitive tummies or who suffer from allergies. This may come in form of red skin, paw licking, or sneezing. Consumers say that the symptoms disappear within a short time once they start using this product. It has a nice concentration that makes it very digestible and easy to swallow and is rich in omega-6 fatty acids, antioxidants, vitamin C, vitamin E, and minerals. According to my neighbor, this has to be the top hypoallergenic dog food on the market. He has tried many different types but this seems to work best for his dog. The dog no longer sneezes or licks its paws and loves every bit of the food. The main ingredient in the food is salmon, which is very rich in Omega 3 and Omega 6 fatty acids, proteins, and minerals. It also contains roughage for improving digestion and prebiotics fiber for a healthy metabolism and reducing constipation. The rice formula provides starch and carbohydrates to the dog and keeps it energized. To ensure the dog is safe and free of side effect, the food doesn’t have any wheat, corn, soy, artificial flavor, colors, fillers, and no poultry by-product. 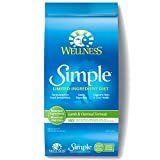 If you really care about your dog’s health, then you would consider making a switch for this dry dog food. It has been around for quite some time and is acknowledged as one of the best hypoallergenic dog foods. It’s suitable for dogs with as well as those without any allergies. 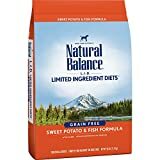 It comprises of healthy ingredients such as sweet potatoes and fish formula and doesn’t have any artificial colors, fillers, preservatives, grain, gluten, or other substances that usually cause the allergies. Many consumers say their dog’s love the food and that it comes in a good texture for easy digestion. It features a handy 26-pound pack that will go a long way. For dog food, this canine formula does smell awesome. This probably was the reason I first noticed it. It is designed for dogs having allergies including red skin, sneezing, or paw locking. It’s available in a nice pack for easy use and is suitable for dogs of different ages and sizes. The food is rich in essential nutrients including proteins, vitamins, antioxidants, and minerals. It’s made of roasted meat, which gives it the nice smell, sweet potatoes, vegetables, and fruits. It doesn’t have any harmful compounds like fillers, artificial colors, grains, gluten, GMOs and this guarantees your dog of the best health. After reading this review, you probably are a bit shocked or saddened that you are causing the allergenic reactions. Well, it’s not too late. You can dump the food you are currently using and switch to the best hypoallergenic dog food. The above products contain what is necessary for the dog’s growth and developments. It contains the right amounts to prevent allergies and for easy monitoring. The food has been produced in the most hygienic environment to ensure that it is completely safe and allergy-free. Furthermore, it comes in dog-friendly form for easy consumption by the dog whether a puppy or adult. And if the ratings and reviews are anything to go by, then these are dog foods are definitely worth buying.